Mounted on a 1/4" thick TransLucite® Ice plaque. 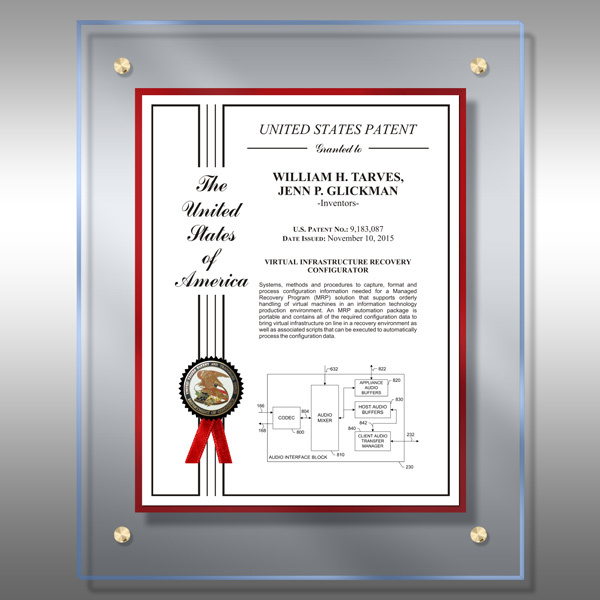 Patent information is printed on full color white HD plate and accented with a red metallic underlay. Featuring four Euro-style gold metal caps and stand-offs that elevate the plaque from the wall creating amazing dimension. This patriotic plaque is red, white and ice blue and comes with an full color embossed patent seal coin that adds to the 3D visual effect. Perfect for any US patent inventor to showcase their contribution to advancement. 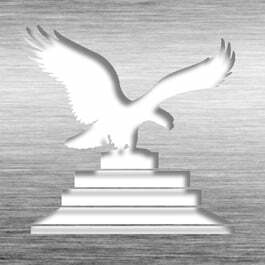 This Patent Plaque - Patriot TransLucite® TL1-W15 is part of our Modern HQ Series of products, check out other products & options available in the Modern HQ Series of our selection. This Patent Plaque - Patriot TransLucite® TL1-W15 can be modified to your requirements and is available for your corporate award programs.